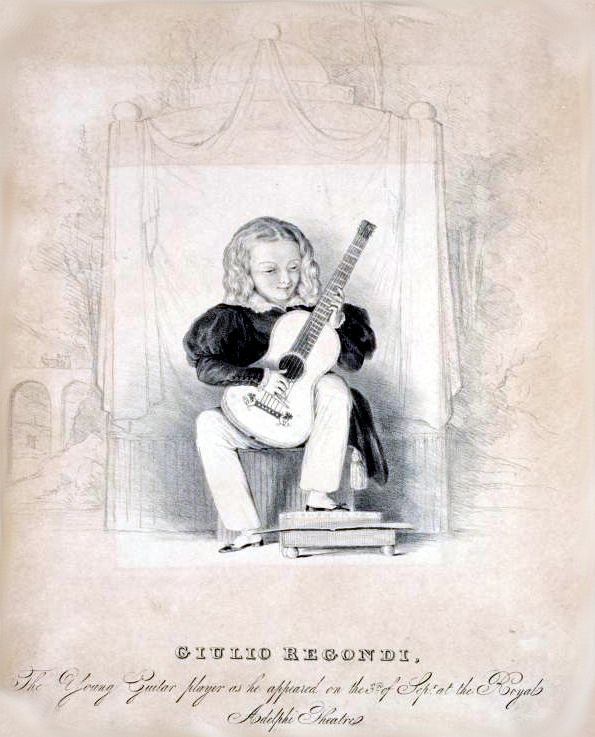 Regondi, Giulio (1822?-1872) Swiss born classical guitarist who performed mainly in England. He appeared as an infant prodigy at the Adelphi on August 22, 1831 during the visit of the English Opera House. He was allegedly eight years old.